George Alifantis is an economist and chartered accountant. He currently acts as scientific advisor on accounting and tax matters to POTAMITISVEKRIS. George teaches Accounting and Financial Accounting in the undergraduate and postgraduate programs at the University of Piraeus. He is also a member of the Faculty of Law of the University of Thrace Graduate Department and of the Panteion University Graduate Program on Tax Law. Until recently, he was a partner with Ernst & Young, prior to which he was a partner with Arthur Andersen. 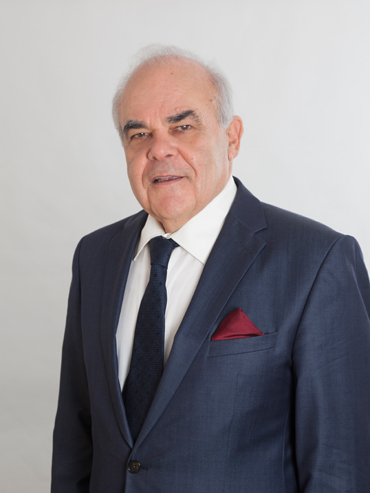 George has taught at the School of Public Administration, University of Macedonia and has been invited to teach in numerous training programs organized by Government Ministries, State owned companies and large corporations and banks. In his extensive career, which spans over 30 years as a chartered accountant, he has led numerous audits and published 13 books and more than 130 articles on accounting and tax topics.